Every now and then, if I find myself with a bit of extra time, I will drive a little out of my way to snap a photo of some historical site that I intend to write about in the future. I have a good collection of such photos just waiting to find their way into an article. This weekend I found myself with an unusual amount of free time and made the rounds in my local area to photograph a variety of sites. It occurred to me that, rather than wait to write a full fledged article on each one, I might as well post a series of photos chronicling my historical wanderings this weekend. So, departing from my usual format of somewhat formal articles, here I offer a collection of random sites I visited while meandering. 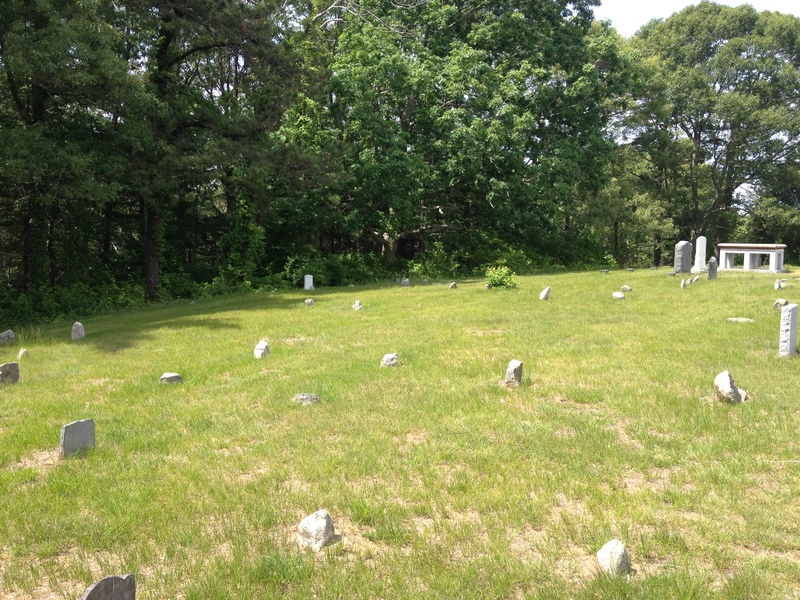 Winslow Cemetery, Marshfield. This out of the way place was the site of Marshfield’s first meeting house, built c. 1641. There are, as far as I’m concerned, two features which make this site truly remarkable and worth a visit. 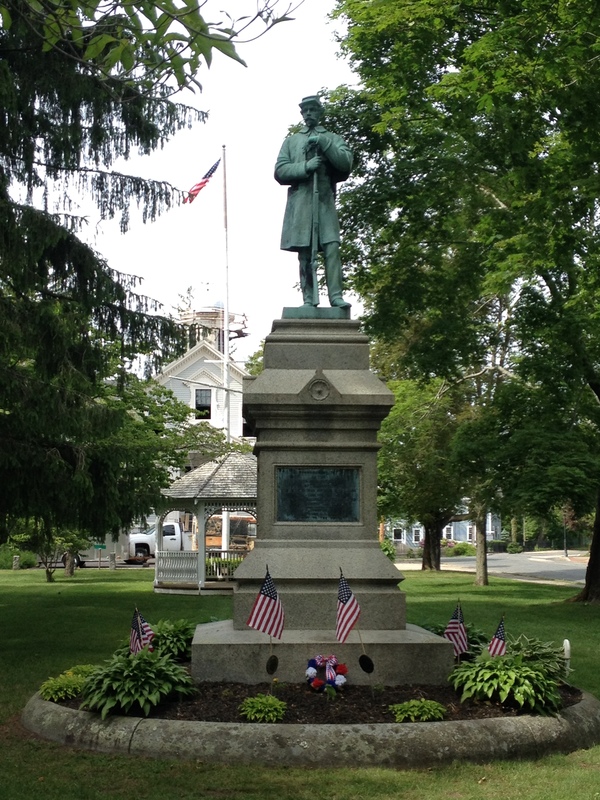 First, it is the resting place of statesman Daniel Webster (1782-1852) and his family. Webster, U.S. Senator from Massachusetts and Secretary of State under Presidents William Harrison and Millard Fillmore, was one of the most renowned politicians and orators of his time. I went here intent on photographing the family plot for an article about Webster’s funeral. Virtually the entire nation mourned Webster’s death. Hundreds of eulogies, sermons and tributes were offered in cities across the United States. Even in many southern cities, where Webster and his brand of politics were not popular, flags were flown at half-staff and days of mourning declared by government officials. The funeral itself was a dramatic, somber pageant worthy of further description–something I will likely write about at some point. 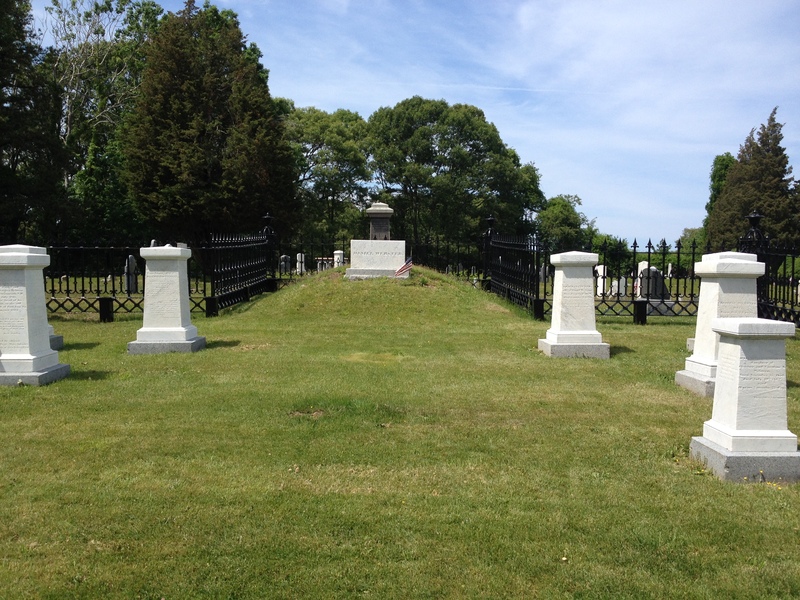 The plot also contains the grave of Col. Fletcher Webster (the Senator’s greatly admired son) who was killed during the Second Battle of Bull Run. The other feature that fascinates me about the Winslow Cemetery (named for the family of Mayflower passenger Edward Winslow, one of the first and most prominent settlers of Marshfield) are the number of very early graves still marked by field stones. 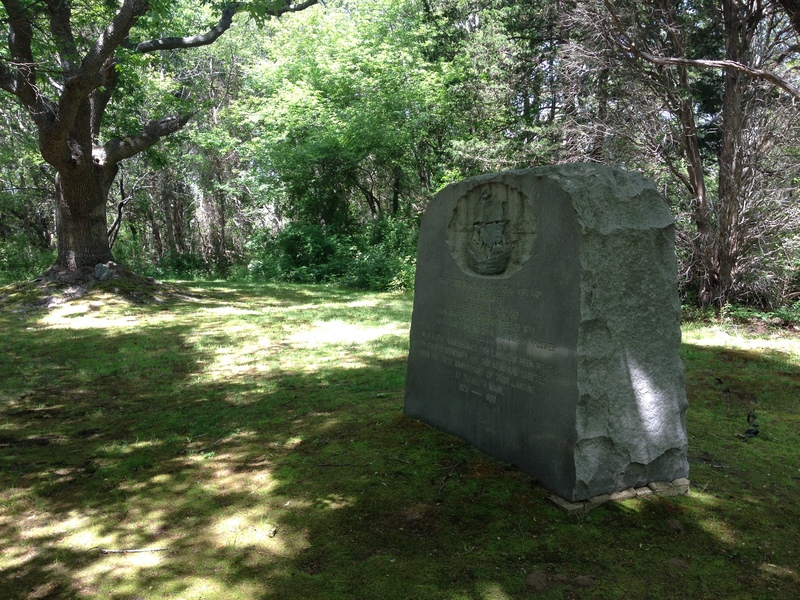 It is a well-known fact that, due to the inability to create or obtain handsomely carved slate gravestones, most of the earliest graves in Plymouth Colony were marked by simple field stones or wooden markers. Outside of Winslow Cemetery, there are but a very few examples of these field stone marked graves to be found. But, for some reason, they survive in Winslow Cemetery by the dozens! It is really quite unique. It is remarkable to look upon these stones an picture settlers placing them in the mid 17th century. 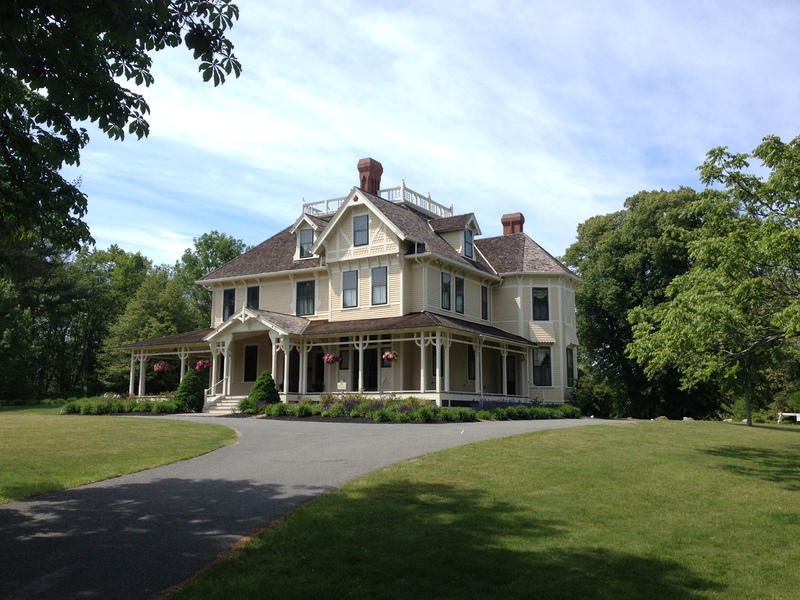 Daniel Webster Estate. This beautiful mansion occupies the site of the Nathaniel Ray Thomas House, best known as a Mandamus Councillor and Tory, vilified and despised by many in the region in the months leading up to the Revolution. I’ve written about his persecution by local patriots, and the battle that nearly took place on the estate. Daniel Webster bought the place in 1832 and resided there (when he was not in Washington) until his death in 1852. Among the many dignitaries he hosted here was Lord Alexander Ashburton and it was here that they hammered out the beginnings of the Webster-Ashburton Treaty. The house was eventually inherited by his daughter-in-law, Caroline White Webster, widow of Col. Fletcher Webster. When the original estate burned in 1878, she had the beautiful Queen Anne style mansion built on the colonial foundation. One of the most elegant houses on the South Shore. Site of John Howland House. The Rocky Nook region of Kingston was part of the land grants given out in the land division of 1627. 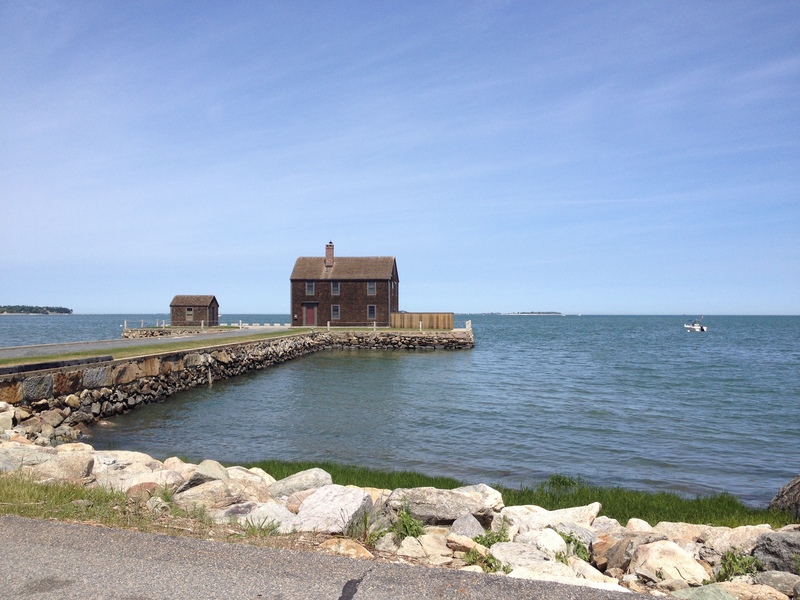 These grants prompted many of the original settlers of Plymouth to leave the town to build homesteads on their grants in what would become Marshfield, Duxbury and Kingston. Governor Bradford lamented their departure, fearing that the colony had failed and all were scattering, leaving the village of Plymouth virtually desolate. John Howland came aboard the Mayflower as an indentured servant to the first governor, John Carver. His near-death during the Mayflower voyage, when he was tipped off the deck during a storm and somewhat miraculously managed to save himself by grasping a halyard trailing in the water, is an oft-repeated tale. Howland became an influential man in the colony, an Assistant to the Governor among other roles. In 1638, he traded part of his grant in Plymouth for the land and house built by John Jenney in Rocky Nook. He lived here until his death in 1673. The site is now handsomely maintained by the Pilgrim John Howland Society. Delano’s Wharf. In 1802, merchant Benjamin Delano (1778-1868) and his brother-in-law, sea captain Peter Winsor built what would come to be known as Delano’s Wharf on Rocky Nook. It is not only one of the most picturesque locations on Plymouth Bay, it is also the most intact of the old merchant wharves in the region. The warehouse at the end of the wharf has been extensively remodeled but still looks the same, on the exterior at least, as it did in 19th century photographs. Major John Bradford House. I stopped by this site after tromping around nearby Abram’s Hill in Kingston, unsuccessfully looking for traces of the 1623 Green Harbor Path which ran there. I’ve made a bit of a hobby looking for remains of the old Pilgrim road, but that, like most of these subjects, is a topic for a future post. Major John Bradford (1652-1736) was a grandson of Governor William Bradford. In addition to holding the rank of major in the colonial militia, he occupied a number of important political positions. There is some ambiguity regarding the age of the house. More than a century ago, it was proclaimed to have been built c. 1675 and a tradition persisted that it had been attacked in a minor skirmish during King Philip’s War. 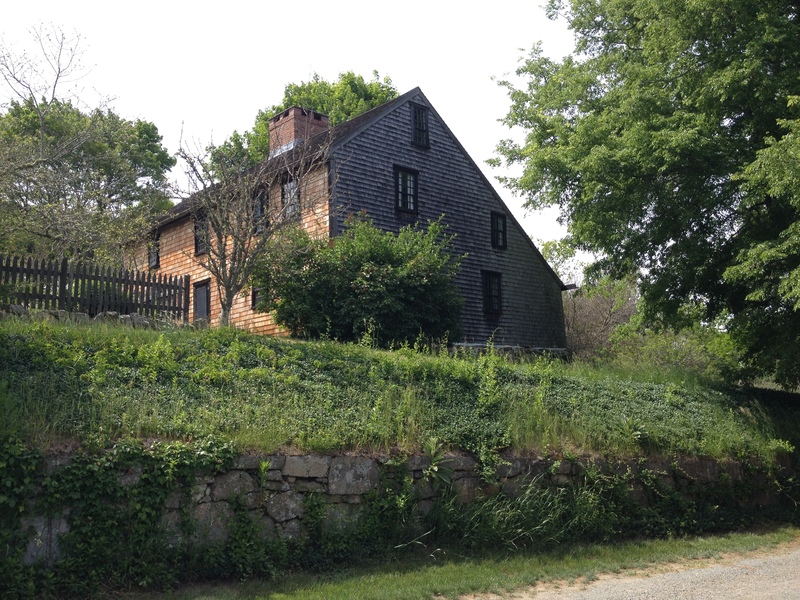 More recent research has identified the house as being built c. 1714 and it was listed as such when added to the National Register of Historic Places in 2006. The house was restored in 1921 by antiquarian George Francis Dow as part of the Tercentenary fever. Major Bradford inherited his grandfather’s precious work, Of Plymouth Plantation, and it is intriguing to contemplate the volume being kept on some shelf in this home. Route 3 over the Jones River, site of a 1639 bridge. Site of 1639 Bridge over Jones River. This may not look very historical, but it was probably my favorite site I visited today–simply due to the research challenge of determining exactly where the old bridge stood. The Jones River in Kingston (part of the town of Plymouth until 1726) is the only significant waterway on Plymouth Bay. It presented an obstacle to colonists looking to travel to and from the towns north of Plymouth. In the 1630s, two different bridges were built across the lower river. And at the river’s mouth, Joseph Rogers operated a ferry. The pilings of the ferry dock were supposedly still visible in the 20th century. Probably the busiest of the three crossings was the middle one. The site was known as the “Lower Stepping Stones” according to a 1637 entry in the Plymouth Colony records. Given the depth and breadth of the river at this point, it is very difficult to imagine traversing it by stepping stones except at very low tide. A road was officially laid out here and a bridge built in 1639. I found it quite intriguing to stand here and try to imagine what that bridge looked liked. 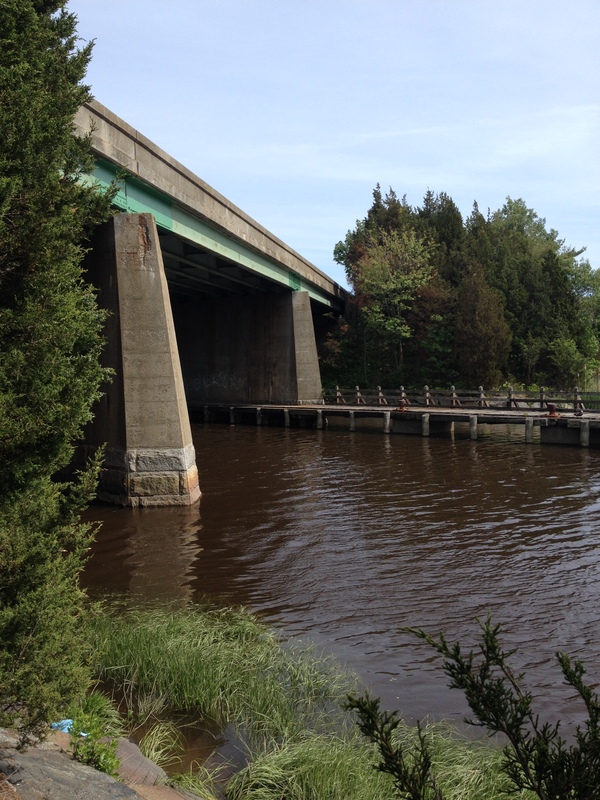 It was replaced by a drawbridge when the King’s Highway (much of which is now Route 3A) was laid out in 1685. Eventually, the bridge here was superseded by a new one built up river c. 1715 (where 3A now crosses the river). While it is possible that some vague traces of the other crossings might still exist, this one has been utterly obliterated by modern Route 3, a major highway. On the one hand, it seems a curious coincidence that Route 3 (which really could have been thrust across the river at any point) should traverse the same space as a 1639 bridge. But, perhaps the engineers of Route 3 found the upland on the south side of the river here a convenient spot to build a crossing, just as the colonists of the 1630s did. Kingston Civil War Memorial. This is a fine monument on the old training green in Kingston. But it is not necessarily the monument itself that I am interested in. Included on the monument, among the names of those from Kingston who gave their lives during the Civil War, is “Martha Sever who died at the Military Hospital, Beverly, N.J., while nursing the sick and wounded soldiers of our armies.” The Grand Army of the Republic post in Kingston was named in Martha Sever’s honor. To my knowledge, she is the only woman listed on a Massachusetts monument with those who died in the war. Her story most definitely deserves to be told…and it will if I can ever get my hands on papers that illuminate her life. Such are the wanderings of a historian along the South Shore on a beautiful weekend.